Every Day is Earth Day at the Potong Tea Garden | Small Farmers. Big Change. Nestled in the foothills of the Himalayan Mountains in Northern India, a small group of tea farmers are quietly reinventing the tea industry and reviving the land. The Potong Tea Garden is a collectively run organization of tea farmers; something nearly unheard of in the tea industry which has been dominated by large plantations since the British colonized India in the 1850’s. In fact, many of the tea bushes at Potong were planted shortly thereafter in the 1860’s and are still referred to as the “President Lincoln bushes.” Now, more than a century and a half later, these “President Lincoln bushes” are approaching the end of their productivity and Potong farmers are in the process of replacing these colonial era tea bushes and reviving fallow land. 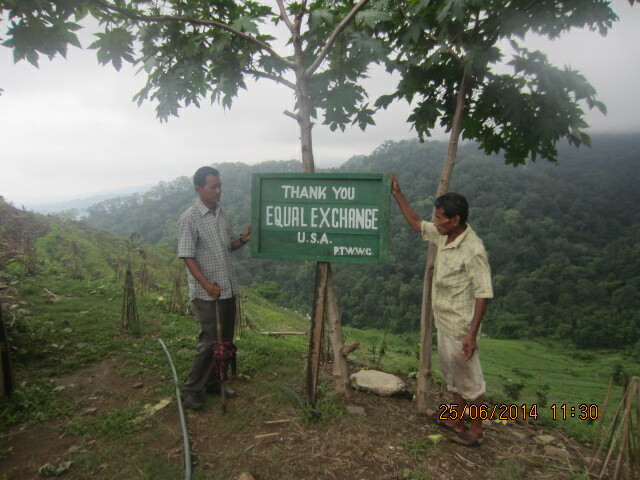 In 2011, Equal Exchange partnered with some of our food co-op partners for National Co-op Month to raise funds in support of Potong’s ongoing replanting efforts. Through this collaboration, we were able to raise $45,000 and Potong has used the funds to plant 49,000 new tea bushes covering nearly 15 hectares of land. It hasn’t been an easy process. Potong experienced 30 percent less rainfall in 2014 compared to previous years and climate change has drastically affected growing conditions; leading to losses of nearly 5 metric tons in the 2014 harvests. 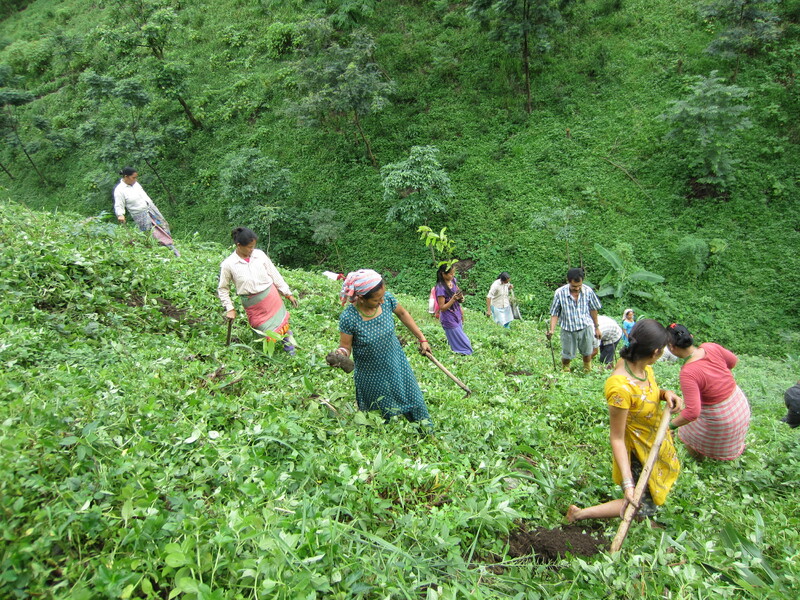 Despite these environmental challenges, Potong’s vision for the tea garden is well underway. So, what does it really take to revitalize a 150 year old tea plantation and mitigate these dramatic climate effects? For starters, you need healthy soil. Potong farmers have been painstakingly rehabilitating the soil by reintroducing micro-nutrients through vermicomposting and “Cow Pat Pit” composting. They’ve been planting native and some non-native plants, including leguminous plants, grasses, and other green crops to bind the soil, reduce erosion, maintain moisture, and manage pests. They’ve planted shaded trees to protect against extreme sun and planted banana trees as part of their efforts to revive natural water sources in the area. All of these conservation efforts have been accomplished through organic, biodynamic, and permaculture methods. Potong’s commitment to biodiversity, organic farming, and stewardship of the land is at the heart of their approach to growing tea. In a recent progress report they noted that as a result of these efforts, they’ve witnessed an increase in the population of birds and other wild life in the area. “It gives profound pleasure and satisfaction to observe nature in its revival…the population of deer, rabbits, wild boar, pangolin, and porcupine are on the rise which has started attracting leopards.” In a world where agriculture and wildlife are increasingly at odds, it is inspiring to see such respect and care for the land and the local ecosystem. 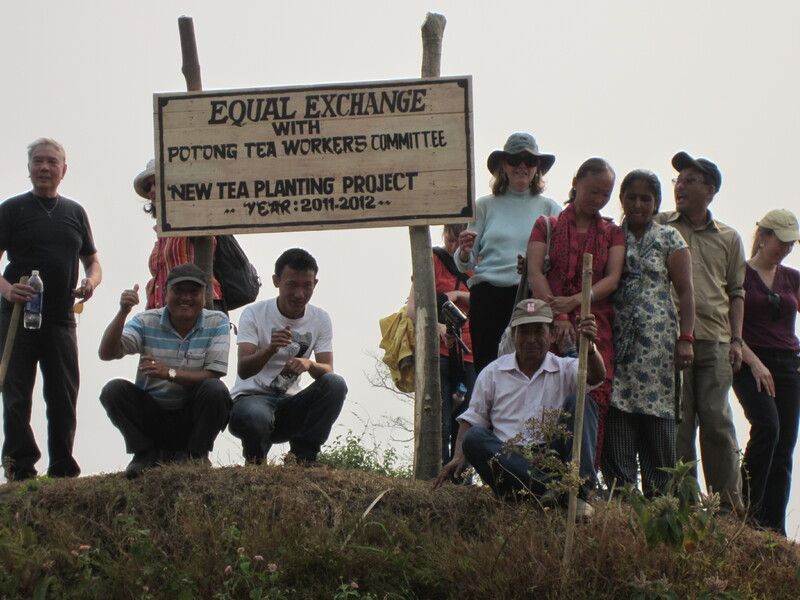 Equal Exchange is proud to partner with Potong Tea Garden in their efforts to produce sustainable, high quality tea, and to make the tea garden their own. Try Potong’s delicious tea in our English Breakfast, Black Tea, Green Tea, and Jasmine Green Tea. Read more about the Potong Tea Garden here. It’s my pride that Potong Garden has been really progressing everyday as I had dreamed one day I always wishing to betterment of Potong.